Aspen Mountain from Durant Street in 1957, with Dean Street, the Skier’s Chalet, Lift One chair lift, Holland House and Norway Lodge visible. 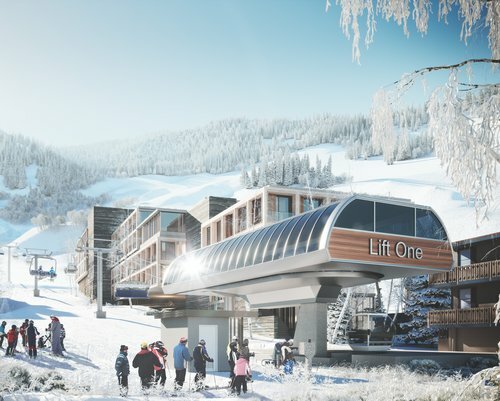 Aspen Historical Society is grateful that the Lift One Corridor project passed and is honored to create a museum worthy of Aspen Mountain’s rich history as part of a reinvigorated and accessible base area. 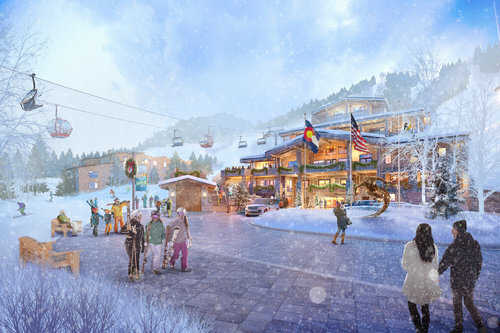 AHS collaborated with project stakeholders for many months on the Lift One Corridor redevelopment plan, which was approved as a single ballot question by City of Aspen voters in the general municipal election on March 5, 2019. 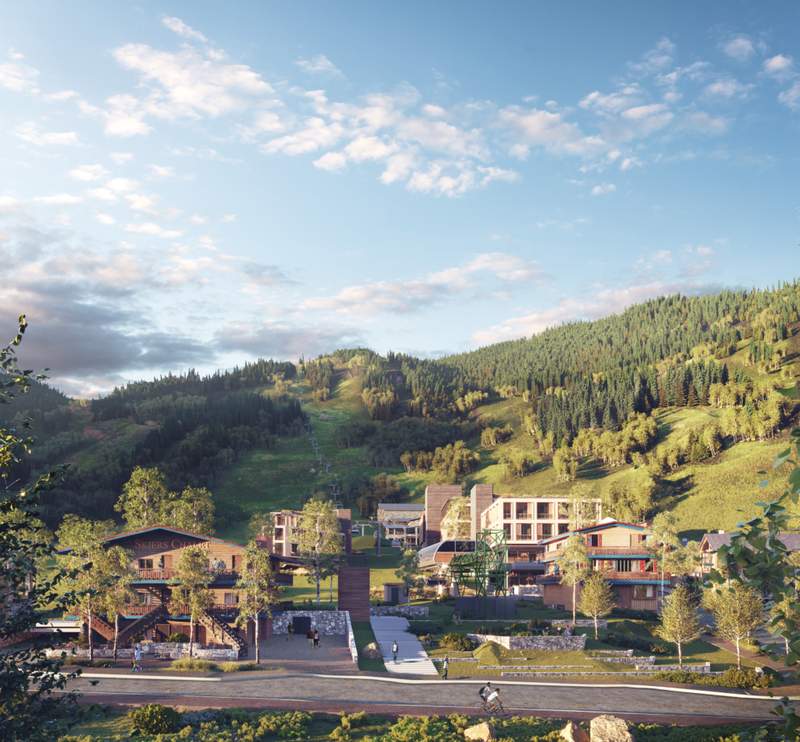 The plan features myriad public amenities including a new park, public parking, convenient chairlift access, restoration of historical assets, and a history museum created and operated by AHS in the restored Skiers Chalet Lodge Building. At the place where lift-served skiing began more than 80 years ago, the museum will honor the ski and snowboard history of the area and Aspen’s unique role in the origins of the sport. 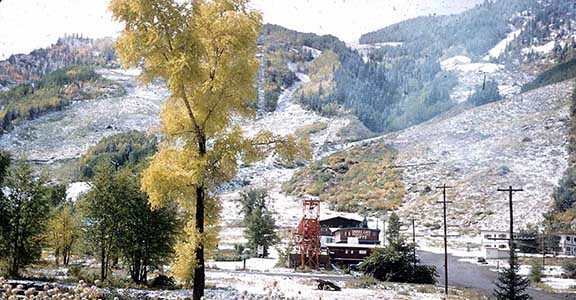 Adjacent to the original Lift 1 gantry and featuring treasured artifacts, moving stories, and engaging exhibits, the slopeside museum will put history front and center while serving the community as part of an activated and lively western portal. 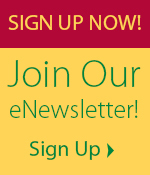 AHS appreciates this community’s history-making cacophony of diverse viewpoints and will strive to include something for everyone in celebrating its storied past. The community has voted for and approved a ski museum at the site twice before and AHS looks forward to making it a reality. The museum planning and fundraising campaign will kick off soon, which are the next steps in the collaborative effort to create the public amenity. 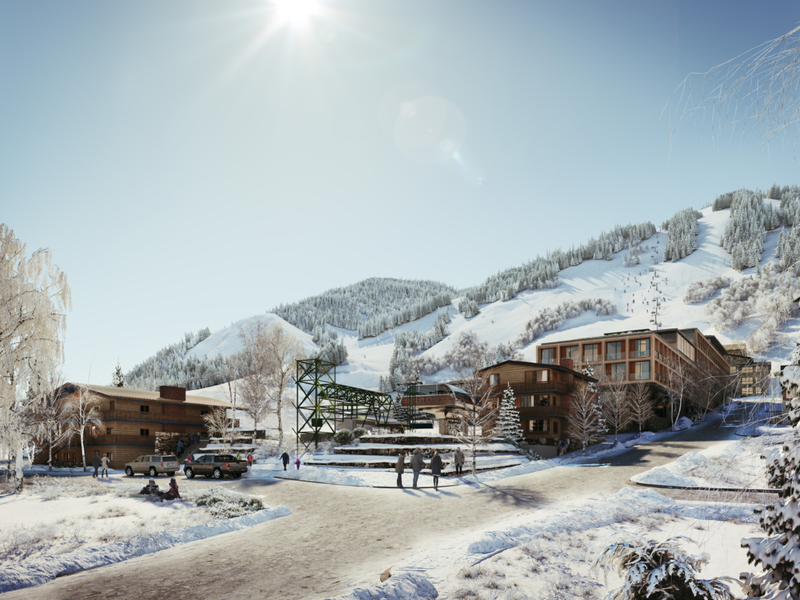 With the ski corridor and the lift terminus restored to their original locations, preserved historical buildings, and the museum, an exciting future lies ahead for Aspen Mountain’s historic portal. Thanks for bringing the boat tow home, Aspen! Aspen Mountain’s western base area was home to Aspen’s first true chairlift and the site remains integral to the origins and legacy of lift-served skiing in the community and in the country. The original Lift One, combined with Lift Two, was the longest and fastest chairlift in the world when it was dedicated in 1947. In 1950, the chairlift hosted the first FIS World Championship alpine ski races ever held outside of Europe. 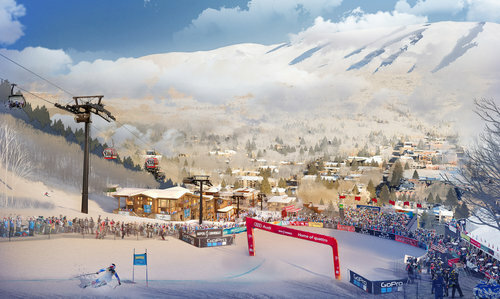 In 1968, Aspen began a long tradition of hosting FIS World Cup races, a tradition that remained strong though 2017 when Lift 1A hosted the men’s and women’s World Cup Finals. The museum will showcase the site itself, as well as house permanent and temporary exhibits that explore Aspen’s storied past. AHS maintains one of the largest archives in the region, with more than 11,000 artifacts, historical images and records in the Collection related to skiing and snowboarding history. The ski museum will enable AHS to display many of these treasured objects, including the original Aspen Mountain boat tow, chairs and canvas covers from the original Lift One, 10th Mountain Division artifacts, ski fashion pieces, a comprehensive collection of ski models, and much more. The project developers are responsible for moving and renovating the Skiers Chalet Lodge building to “white box” condition. AHS will be launching a capital campaign to fund finishing its portion of the building, completing the museum and creating exhibits and programs—our obligations have not changed with respect to creating a museum in the Skiers Chalet Lodge. The City of Aspen is not contributing any funds to AHS to create the museum. AHS will be sharing the Skiers Chalet Lodge building with Aspen Skiing Company for skier services and patrol functions within the building.